natural is always better, right? Wrong. associated with severe liver damage and even death? dangers associated with comfrey? Is there a safe dose? How can comfrey damage your health? What Is Comfrey Used For? herbs such as calendula and aloe. including diarrhea and stomach upset, and lung conditions. because it is associated with liver damage. remove comfrey products from the market. Health and Education Act of 1994.
been associated with toxic effects in humans. liver damage, lung damage, and cancer. occlusive disease – and the need for a liver transplant. confirmed diagnosis after was comfrey posioning. How Many Fatalities Are Associated with Comfrey? man after drinking comfrey tea. Pharmacognosy, 14th ed. Philadelphia: Saunders; 1998.
genetic mutations that cause cancer. alkaloids helped cause mutational defects in the liver. Is There a Safe Way to Use Comfrey? Community Services and Health, Canberra, Australia. marketed as ordinary, safer, comfrey. in a year, or use it for more than 10 days in a row. want to try something new. 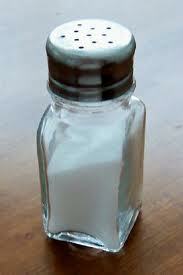 How Much Is Too Much Salt? specific medical advice, diagnoses, and treatment, please consult your doctor. 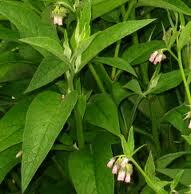 Comfrey leaf may help swollen ankles.